*Joey Votto (Etobicoke, Ont.) hits third on our 11th annual Canada Day lineup and Ryan Dempster (Gibsons, BC) makes yet another Canada Day start, his fifth. And a happy Canada Day to you, too! Time to run our 11th annual Canada Day, Team Canada lineup up the flag pole and see how many fans salute. When we began in 2001 this was a ‘what-if?’ mythical team. The World Baseball Classic changed all of that in 2006. Everyone is available, for on Canada Day it is a perfect day to be Canadian. Dr. Ron Taylor and his crack staff has everyone healthy and frisky as colts. 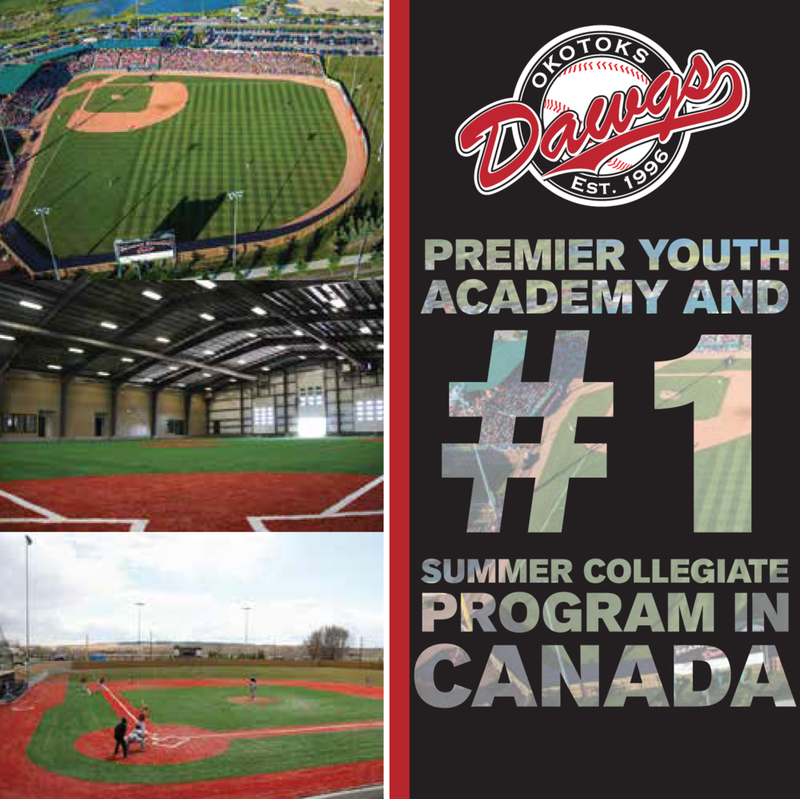 Participation is mandatory, as ordered by national treasure/Hall of Famer Fergie Jenkins from the head office in Chatham, Ont. We have a few candidates to choose from: 21 Canucks have appeared on 2011 major league rosters; 108 in the minors and 40 in the independent leagues. In 2001 we had to go to double-A to find a third outfielder. Now we have arguments: Justin Morneau or Joey Votto at first? Does current active Canadian home run leader Matt Stairs play the outfield (and hope nothing is hit his way), DH, or sit and wait for a pinch hit appearance that may never come? * Leading off will be third baseman Brett Lawrie from Langley, B.C., the Jays’ can’t miss prospect at triple-A Las Vegas, whose broken left hand is healed. * Batting second is New York Yankees catcher Russell Martin from Montreal. * In the No, 3 hole is Cincinnati Reds first baseman Joey Votto of Etobicoke. * Hitting clean-up is Minnesota Twins Justin Morneau of New Westminister, B.C. As is usually the case the starting first base job goes to the reigning MVP, so Morneau will DH. * Batting fifth is New York Mets left fielder Jason Bay from Trail, B.C. * Hitting sixth is Chicago White Sox’s Mark Teahen, whose father Mike has his roots in St. Marys, Ont. He’ll be at second base. * Next is Victoria’s Mike Saunders of the Seattle Mariners. He’ll be in centre. * In the No. 8 hole is right fielder Rene Tosoni of Coquitlam, B.C., from the Twins. * And hitting ninth is Toronto-born Cale Iorg, son of ex-Jay Garth Iorg at triple-A Toledo in the Tigers system. Manager Ernie Whitt, from the Windsor suburb of Clinton Township, Mich., will give the ball to Chicago Cubs right-hander Ryan Dempster of Gibsons, B.C. For Dempster it will be his fifth Canada Day start as he had the honour in 2010, 2006, 2002 and on our inaugural team in 2001. Pitching coach Denis Boucher of Lachine, Que., will have Seattle’s Erik Bedard of Navan, Ont., Jeff Francis of North Delta, B.C., from the Kansas City Royals, Victoria’s Rich Harden from the Oakland A’s and Guelph’s Scott Diamond, a Twins farmhand in the rotation. Relievers will be Toronto’s Jesse Crain of the White Sox; North Vancouver’s Blake Hawksworth of the Dodgers; Langley’s Scott Mathieson and Gatineau’s Phillippe Aumont, of the Philadelphia Phillies; Vancouver’s Trystan Magnuson of the A’s, and Pirates farmhand Chris Leroux of Mississauga. They’ll get the ball to Port Dover closer John Axford, who has 20 saves for the Milwaukee Brewers. On the bench will be pinch hitter Stairs of Fredericton, N.B., and the Washington Senators. The back-up catchers are Markham’s George Kottaras of the Brewers and Vancouver’s Mike Nickeas of the New York Mets. Infielders are Newmarket’s Peter Orr of the Phillies and Laval infielder Jonathan Malo from the Mets system, as well as Cambridge’s Scott Thorman at triple-A Toledo and Surrey, B.C.’s Adam Loewen at Vegas. Also on Whitt’s staff are former major leaguers Larry Walker of Maple Ridge, B.C., and Windsor’s Stubby Clapp. And Dempster is on the mound. 1. C Russell Martin (Montreal, Que.) .244, four homers and 17 RBIs, Los Angeles Dodgers. 2. 3B Mark Teahen (St. Marys, Ont.) .255, three, 14 whose father’s roots go to St. Marys, Ont., Chicago White Sox. 3. 1B Justin Morneau (New Westminster, BC) .347, 15, 49, Minnesota Twins. 4. DH Joey Votto (Etobicoke, Ont.) .313, 17, 54) Cincinnati Reds..
5. CF Jason Bay (Trail, BC) .277, six, 35) New York Mets. 6. RF Mike Saunders (Victoria, BC) .206, five, 17, Seattle Mariners. 7. LF Nick Weglarz (Stevensville, Ont.) .263, eight, 39, triple-A Columbus, double-A Akron in the Cleveland Indians system. 8. 2B Brett Lawrie (Langley, BC) .302, six, 41 double-A Huntsville, Brewers. Ryan Dempster (Gibsons, BC) 6-6, 3.58, Cubs. Jeff Francis (North Delta, BC) 2-2, 3.53, Colorado Rockies. Erik Bedard (Navan, Ont.) rookie-class Arizona League M’s. Blake Hawksworth (North Vancouver, BC), 2-4, 5.11, Cardinals. Chris Leroux (Mississauga, Ont.) 0-0, 6.60, Marlins. Ryan Braun (Kitchener, Ont.) 0-2, 2.16, 10 saves triple-A Charlotte, White Sox. Philippe Alexandre Valiquette (St. Laurent, Que. )2-1, 4.24, four saves atriple-A Louisville, double-A Carolina, Reds. John Axford (Port Dover, Ont.) 3-1, 3.00, Brewers. George Kottaras (Markham, Ont.) .208, five, 16), Brewers. Peter Orr (Newmarket, Ont.) .229, eight, 26, triple-A Syracuse) Nationals. Jonathan Malo (Laval, Que.) .234, two, 14 double-A Binghamton, Mets. Adam Stern (London, Ont.) .282, one, 10, triple-A Nashville) a Brewers. 1. C Russell Martin (Montreal, Que.) .247, one homer and 21 RBIs, Los Angeles Dodgers. 2. 3B Mark Teahen (St. Marys, Ont. ), .281, nine, 28, ansas City Royals. 3. Justin Morneau (New Westminister, BC) .309, 17, 61, Minnesota Twins. 4. CF Jason Bay (Trail, BC) .277, 19, 69) Boston Red Sox. 5. DH Joey Votto (Etobicoke, Ont.) .351, nine, 37, Cincinnati Reds. 6. RF Mike Saunders (Victoria, BC) .303, 10, 26 triple-A Tacoma (Mariners). 7. LF Scott Thorman (Cambridge, Ont.) .300, 13, 30 triple-A Omaha (Royals). 8. 2B Peter Orr (Newmarket, Ont.) .236, five, 23 triple-A Syracuse (Nationals). 9. SS Cale Iorg (Toronto, Ont.) .221, six, 21 double-A Erie (Tigers). 1. LHP Erik Bedard (Navan, Ont.) 5-2, 2.47, Seattle Mariners. 2. RHP Ryan Dempster (Gibsons, BC) 4-5, 4.09, Chicago Cubs. 3. RHP Rich Harden (Victoria, BC) 4-4, 4.95, Cubs. 4. RHP Scott Richmond (Vancouver, B.C) 6-4, 3.68, Jays. 5. LHP Jeff Francis (North Delta, BC) Colorado Rockies. Shawn Hill (Georgetown, Ont.) 1-1, 5.25 of the San Diego Padres. Jesse Crain (Toronto, Ont.) 2-3. 8.15, Twins. Blake Hawksworth (North Vancouver, BC) 0-0, 4.70, St. Louis Cardinals, 5-4, 3.92 triple-A Memphis. Chris Leroux (Mississauga, Ont.) 3-2, 3.67 double-A Jacksonville, two games with the Marlins. David Davidson (Thorold, Ont.) 0-1, 3.00 triple-A Indianapolis, triple-A New Orleans who also pitched one game with the Marlins. R.J. Swindle (Vancouver, BC) 2-1 0.79, triple-A Nashville, Brewers. George Kottaras (Markham, Ont.) .227, zero, eight, Red Sox. Luke Carlin (Aylmer, Que.) .287, four, 23, triple-A Reno, two games with Arizona Diamondbacks. Matt Stairs (Fredericton, N.B.) .296, three, 12 of Phillies. Rene Tosoni (Coquitlam, BC) .275, nine, 45 double-A New Britain (Twins). 1. CF Adam Stern (Port Stanley, Ont.) .221, 1, 8 triple-A Norfolk. 2. 2B Peter Orr (Newmarket, Ont.) .182, 0, 0, Washington Nationals, .267, two, 20 triple-A Columbus. 4. LF Jason Bay (Trail, BC) .284, 16, 43, Pittsburgh Pirates. 5. C Russell Martin (Montreal, Que.) .307, 8, 37, Los Angeles Dodgers. 6. RF Matt Stairs (Fredericton, N.B.) .262, 8, 28, Blue Jays. 7. 3B Mark Teahen (St. Marys, Ont. .257, eight, 27, Kansas City Royals. 8. DH Joey Votto (Etobicoke, Ont. .280, 12, 38, Cincinnati Reds. 9. SS Chris Barnwell (Shelburne, N.S.) .284, 6, 39 triple-A Albuquerque. RHP Rich Harden (Victoria, BC) 5-0, 2.15 ERA, Oakland A’s. RHP Ryan Dempster (Gibsons, BC) 9-3, 3.26 Chicago Cubs. LHP Erik Bedard (Navan, Ont. ), 5-4, 3.79, Seattle Mariners. LHP Jeff Francis (North Delta, B.C) 3-7, 5.6, Colorado Rockies. RHP Shawn Hill (Georgetown, Ont.) 1-5, 5.83 Washington Nationals. LHP Adam Loewen (Surrey, BC) 0-1, 7.95 Baltimore Orioles. RHP Jesse Crain (Toronto, Ont.) 3-2, 2.97 Twins. RHP Eric Gagne (Mascouche, Que.) 1-2, 6.98 and 10 saves, Milwaukee Brewers. LHP David Davidson (Thorold, Ont.) 2-2, 3.54 double-A Altoona. LHP R.J. Swindle (Vancouver, BC) 1-0, 0.54 triple-A Lehigh Valley. RHP Steve Green (Longueuil, Que.) 4-0, 3.08, Lehigh. RHP Scott Mathieson (Langley, BC) injured with the Phillies. C Luke Carlin (Aylmer, Que.) .154, 0, 2, San Diego Padres. C George Kottaras (Markham, Ont.) .228, 14, 42 triple-A Pawtucket. C Chris Robinson (Dorchester, Ont.) .217, 1, 19 double-A Tennessee. INF Scott Thorman (Cambridge, Ont.) .249, 14, 44 triple-A Richmond. INF Danny Klassen (Leamington, Ont.) .182, 1, 9 triple-A, Round Rock. INF Emmanuel Garcia (Montreal, QUe.) .258, 3, 29 double-A Binghamton. INF Jonathan Malo (Laval, Que.) .261, 3, 16 Binghamton. INF Emerson Frostad (Calgary, Alta.) .270, 5, 32 double-A Frisco. INF Matt Rogelstad (Coquitlam, BC) .282, 8, 39 single-A Potomac. OF Mike Saunders (Victoria, BC) .242, 3, 16 triple-A Tacoma. 1. 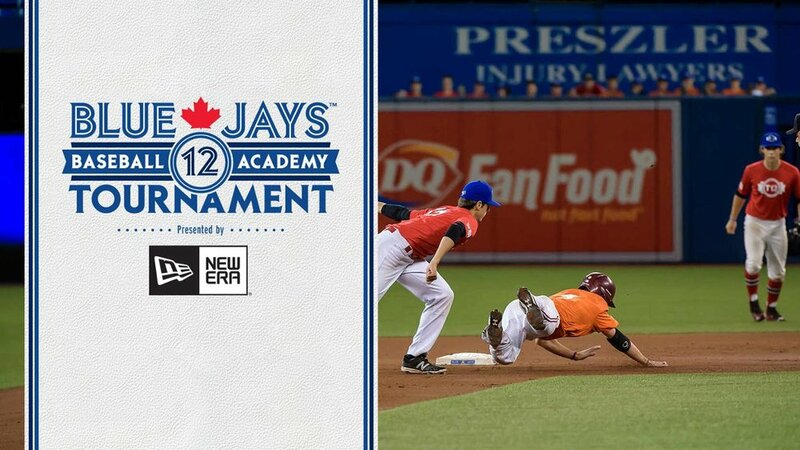 2B Peter Orr (Newmarket, Ont.) .200, zero, two, Atlanta Braves. 2. C Russell Martin (Montreal, Que.) .292, eight, 43, 11 steals, Dodgers. 3. 1B Justin Morneau (New Westminster, BC) .277, 20, 54 RBIs, Twins. 4. LF Jason Bay (Trail, BC) .276, 11, 46 RBIs, Pirates. 5. DH Scott Thorman (Cambridge, Ont.) .242, nine, 30, Braves. 6. RF Mark Teahan (St. Marys, Ont.) .287, five, 37, Royals. 7. CF Aaron Guiel (Langley, BC) .229, 10, 29, Tokyo Yakult Swallows. 9. SS Danny Klassen (Leamington, Ont.) .310, three, 18, triple-A Round Rock (Astros). LHP Erik Bedard (Navan, Ont.) 4-4, 3.64, Baltimore Orioles. LHP Jeff Francis (North Delta, BC) 6-5, 3.61, Colorado Rockies. RHP Shawn Hill (Georgetown, Ont.) 3-3, 2.70, Washington Nationals. RHP Rich Harden (Victoria, BC) 1-1, 1.42, Oakland A’s. LHP Adam Loewen (Surrey, BC) 2-0, 3.56, Orioles. RHP Scott Mathieson (Vancouver, BC) coming off Tommy John, Philadelphia Phillies. Eric Gagne (Mascouche, Que.) 1-0, 0.50, seven saves, Texas Rangers. Ryan Dempster (Gibsons, BC) 1-3, 3.45, 15 saves, Chicago Cubs. Jesse Crain (Toronto, Ont.) 1-2, 5.51), Twins. Chris Reitsma (Calgary, Alta.) 0-1, 5.79, Seattle Mariners. Ryan Braun (Kitchener, Ont.) 0-2, 3.00, three saves, triple-A Omaha (Royals). Rheal Cormier (Moncton, N.B.) 1-1, 1.17, triple-A Richmond (Braves). David Davidson (Thorold, Ont.) 2-0, 5.08, two saves, double-A Altoona (Pirates). INF Chris Barnwell (Shelburne, N.S.) .271, four, 21 triple-A Nashville (Brewers). OF Matt Stairs (Fredericton, N.B.) .275, nine, 23, Blue Jays. C Pete LaForest (Hull, Que.) .207, 13, 28 triple-A Portland (Padres). 1B Joey Votto (Etobicoke, Ont.) .317, 9, 41 triple-A Louisville. OF Adam Stern (Port Stanley, Ont.) .206, three, triple-A Norfolk (Orioles). 1. CF Adam Stern (London, Ont.) .150, four RBIs Red Sox; .254 seven 23 triple-A Pawtucket. 2. 2B Peter Orr (Newmarket, Ont.) .211, one, four, Braves. 3. LF Jason Bay (Trail, BC) .285, 20, 57, Pittsburgh Pirates. 4. 1B Justin Morneau (New Westminster, BC) .288, 19, 64, Twins. 5. 3B Corey Koskie (Anola, Man.) .267, 10, 31, Brewers. 6. C Russell Martin (Montreal, Que.) .294, four, 20, Los Angeles Dodgers. 7. DH Matt Stairs (Saint John, N.B.) .287, seven, 18, Royals. 8. RF Aaron Guiel (Langley, BC) .220, three, seven Royals; .233, 11, 32 triple-A Omaha. 9. SS Kevin Nicholson (Surrey, B.C) .229, one, 16, Somerset, Atlantic League (IND). RHP Rich Harden (Victoria, BC) 3-0, 3.86, Oakland A’s. LHP Erik Bedard (Navan, Ont.) 8-6, 4.72, Orioles. LHP Jeff Francis (North Delta, BC) 5-7, 4.25, Rockies. RHP Shawn Hill (Georgetown, Ont.) 1-3, 4.66, Nationals; 3-2, 2.64 double-A Harrisburg. LHP Adam Loewen (Surrey, B.C) 0-2, 7.12 Orioles, 4-2, 2.72 double-A Bowie. Ryan Dempster (Gibsons, BC) 1-4, 4.41, 31 saves, Cubs. Rheal Cormier (Moncton, N.B.) 2-1, 1.35, Phillies. Jesse Crain (Toronto, Ont.) 1-4, 5.19, Twins. Eric Gagne (Mascouche, Que.) two scoreless innings, Dodgers. Chris Reitsma (Calgary, Alta.) 1-2, 9.11, three saves, Braves. Scott Mathieson (Aldergrove, BC) 0-2, 6.75, Phillies, 6-2 3.05, double-A Reading. INF-OFMark Teahen (St. Marys, Ont.) .244, 4, 19, Royals; .380, 2, 14, Omaha. C George Kottaras (Markham, Ont.) .274, eight, 30 double-A Mobile (Padres). INF Scott Thorman (Cambridge, Ont.) .120, zero, one with the Braves; .324, 15, 44 triple-A Richmond. C Pete LaForest (Hull, Que.) injured triple-A Portland (Padres). INF Joey Votto (Etobicoke, Ont.) .314, 15, 48 double-A Chattanooga (Reds). INF Stubby Clapp (Windsor, Ont.) .315, one, 11 Edmonton, Northern League IND). 1. 2B Peter Orr (Newmarket, Ont.) .327, one, five, Atlanta Braves. 2. CF Adam Stern (London, Ont.) disabled list Red Sox. 4. 1B Justin Morneau ( New Westminster, BC) .411, two, six, Minnesota Twins. 5. 3B Cory Koskie (Anola, Man.) .258, seven, 16, Blue Jays. 6. LF Jason Bay (Trail, BC) .313, six, 17, Pittsburgh Pirates. 7. DH Matt Stairs (Fredericton, N.B.) .269, four, 11, Kansas City Royals. 8. C Pete LaForest (Hull, Que.) .302, seven, 22 RBIs Triple-A Durham, (Tampa Bay Devil Rays). 9. SS Danny Klassen (Leamington, Ont.) .326, two, 11, Triple-A Round Rock (Houston Astros). RHP Rich Harden (Victoria, BC) 2-2, 1.94, Oakland A’s. LHP Erik Bedard (Navan, Ont.) 3-1, 2.31, Baltimore Orioles. LHP Jeff Francis (North Delta, BC) 2-1, 4.58, Colorado Rockies. Eric Gagne (Mascouche, Que.) injured, Los Angeles Dodgers. Chris Reitsma (Calgary, Alta.) 0-1, 1.08, Braves. Ryan Dempster (Gibsons, BC) 2-3, 5.65, Chicago Cubs. Paul Quantrill (Port Hope, Ont.) 0-1, 4.02, New York Yankees. Rheal Cormier (Moncton, N.B.) 1-1, 5.19, Philadelphia Phillies. Jesse Crain (Toronto, Ont.) 2-0, 0.00, Twins. Chris Begg (Uxbridge, Ont.) 2-2, 1.95, Double-A Norwich (San Francisco Giants). Vince Perkins (Victoria, BC) 2-2, 4.11 Double-A New Hampshire (Jays). Steve Green (Longueuil, Que.) 0-2, 4.74 Double-A Akron (Cleveland Indians). Aaron Myette (Surrey, BC) in Japan. INF Mark Teahan (St. Marys, Ont.) .273, zero, four, Kansas City Royals. INF Scott Thorman (Cambridge, Ont.) .303, five, 25 Double-A Mississippi Braves (Braves). INF Kevin Nicholson (Surrey, BC) .500, zero, one, Somerset, Atlantic league (IND). OF Aaron Guiel (Langley, B.C) .265, five 18, Triple-A Omaha (Royals). C Richard Martin (Montreal, Que.) .280, one, 18 Double-A Jacksonville (Dodgers). 1. CF Jason Bay (Trail, BC) .286, nine, 25, Pittsburgh Pirates. 2. 2B Stubby Clapp (Windsor, Ont.) .301, zero, six, triple-A Syracuse. 3. RF Larry Walker (Maple Ridge, BC) .350, three homers, five, missed first 67 games, Colorado Rockies. 4. 3B Corey Koskie (Anola, Man.) .247, 12, 33, Twins. 5. 1B Justin Morneau (New Westminster, BC) .323, 19, 57 triple-A Rochester (Twins). 6. DH Matt Stairs (Fredericton, N.B.) .276, 10, 29, Kansas City Royals. 7. LF Aaron Guiel (Langley, BC) .173, four, 10, 24 Royals and platoon mate Jeff Guiel (Langley, BC) .198, five, 25 Syracuse (Jays). 8. C Pete Laforest (Hull, Que.) .190, two, 14, triple-A Durham. 9. SS Danny Klassen (Leamington, Ont.) .264, five, 30, triple-A Toledo. RHP Rich Harden (Victoria, BC) 3-4, 4.13, Oakland A’s. LHP Erik Bedard (Navan, Ont.) 3-2, 3.69, Baltimore Orioles. LHP Jeff Francis (North Delta, BC) 11-1, 2.27 double-A Tulsa (Rockies). RHP Shawn Hill (Georgetown, Ont.) 5-6, 2.87 double-A Harrisburg, promoted to the Montreal Expos. RHP Mike Johnson (Sherwood Park, Alta.) 6-3, 5.43, triple-A Edmonton. RHP Ryan Dempster (Gibsons, BC) 0-0, 1.96 re-habbing, single-A Lansing. Eric Gagne (Mascouche, Que.) 2-0, 1.64, 19 saves, Los Angeles Dodgers. Paul Quantrill (Port Hope, Ont.) 5-2, 3.19, Philadelphia Phillies. Rheal Cormier (Moncton, N.B.) 3-3, 4.54, Atlanta Braves. Chris Reitsma (Calgary, Alta.) 3-2, 3.61, with 10 saves, Cincinnati Reds. Aaron Myette (Surrey, BC) 3-2, 2.56, triple-A Louisville (Reds). Jeff Zimmerman (Kelowna, BC) disabled, Texas Rangers. INF Cody McKay (Vancouver, BC) .230, zero, four, St. Louis Cardinals. INF Todd Betts (Scarborough, Ont.) .262, four, 14 triple-A Columbus. OF Simon Pond (North Vancouver, BC) .265, five, 17 Syracuse (Jays). C John Suomi (Etobicoke, Ont.) .304, six, 47 single-A Modesto). 1. CF Jason Bay (Trail, BC) .300 10, 32 triple-A Portland; .250, one, two Padres. 2. LF Aaron Guiel (Langley, BC) .283, two, eight, Kansas City Royals; .279, eight, 30, triple-A Omaha. 3. 3B Corey Koskie (Anola, Man.) .314, 12, 50, Minnesota Twins. 4. Larry Walker (Maple Ridge, BC) .293, eight, 50, Colorado Rockies. 5. DH Matt Stairs (Fredericton, N.B.) .239, four, 13, Pittsburgh Pirates. 6. 1B Justin Morneau (New Westminster, BC) .280, two, seven, Twins; .309, 19, 42 combined triple-A Rochester, double-A New Britain. 7. SS Danny Klassen (Leamington, Ont.) .242, six, 34 triple-A Toledo. 9. 2B Stubby Clapp (Windsor. Ont.) .230, three, 21, triple-A Richmond, Atlanta Braves. RHP Chris Reitsma (Calgary, Alta.) 7-2, 4.63, Cincinnati Reds. RHP Ryan Dempster (Gibsons, BC) 2-4, 6.21, Reds. RHP Rich Harden (Victoria, BC) 9-2, 2.99 triple-A Sacramento, two scoreless outings double-A Midland (Oakland A’s). RHP Steve Green (Longueuil, Que.) 6-4, 5.64, triple-A Salt Lake (Anaheim Angels). LHP Erik Bedard (Navan, Ont.) injured Baltimore Orioles prospect. Eric Gagne (Mascouche, Que.) 1-2, 2.06, 29 saves, Los Angeles Dodgers. Jeff Zimmerman (Kelowna, BC) injured Texas Rangers closer. Paul Quantrill (Port Hope, Ont.) 1-2, 1.57, Dodgers. Rheal Cormier (Moncton, N.B.) 2-0, 1.64, Philadelphia Phillies. Chris Mears (Victoria, BC) 5-1, 2.92 triple-A Toledo, who was recalled by the Detroit Tigers. Mike Meyers (Tillsonburg, Ont.) 1-2, 4.94, triple-A Iowa Cubs. Mike Johnson (Sherwood Park, Alta.) 3-3, 3.75 triple-A Fresno. INF Kevin Nicholson (Surrey, BC) .277, three, 25, double-A Altoona). OF Jeff Guiel (Langley, BC) .234, seven, 20 triple-A Salt Lake City. C Cody McKay (Vancouver, BC) .211, four, 23 triple-A Indianapolis). 1. 2B Stubby Clapp (Windsor. Ont.) .250, two, nine triple-A Memphis Redbirds, St. Louis Cardinals. 2. SS Kevin Nicholson (Surrey, BC) .237, 0, 7 Memphis. 3. 3B Corey Koskie (Anola, Man. ).263, 8, 36, Minnesota Twins. 4. RF Larry Walker (Maple Ridge, BC) .333, 17, 75, Colorado Rockies. 5. DH Matt Stairs (Fredericton, N.B.) .239, 4, 13, Milwaukee Brewers. 6. LF Aaron Guiel (Lnagley, BC) .381, 1, 7, Kansas City Royals, .353, nine, 50, triple-A Omaha. 7. 1B Todd Betts (Scarborough, Ont.) .290, eight, 29 triple-A Pawtucket, Boston Red Sox. 8. CF Jeremy Ware (Guelph, Ont.) .307, one, 15, triple-A Buffalo, Cleveland Indians..
9. C Cody McKay (Vancouver, BC) .256, five, 26, triple-A Sacramento, Oakland A’s. RHP Ryan Dempster (Gibsons, BC) 5-7 4.80, Florida Marlins. RHP hris Reitsma (Calgary, Alta.) 3-6, 3.60, Cincinnati Reds. RHP Aaron Myette (Surrey, BC) 5-4, 3.39 triple-A Oklahoma, Texas Rangers. LHP Eric Cyr (Montreal, Que.) 4-6, 3.24, double-A Mobile, four games San Diego Padres. LHP Erik Bedard (Navan, Ont.) 6-3, 1.97 double-A Bowie, two games with the Baltimore Orioles. Eric Gagne (Mascouche, Que.) 0-0, 1.30, 29 saves, Los Angeles Dodgers. Paul Quantrill (Port Hope, Ont.) 0-2, 3.40, Dodgers. Rheal Cormier (Moncton, N.B.) 3-4, 5.59, Philadelphia Phillies. 1. SS Kevin Nicholson (Surrey, BC) .385, one, 12 triple-A Colorado Springs. 2. 2B Stubby Clapp (Windsor, Ont.) .317, five, 29, triple-A Memphis; .286 with St. Louis. 3. RF Larry Walker (Maple Ridge, BC) .344, 25, 78, Colorado Rockies. 4. 1B Matt Stairs (Fredricton, N.B.) .268, 10, 32, Chicago Cubs. 5. 3B Corey Koskie (Anola, Man.) .257, 8, 43, Minnesota Twins. 6. DH Todd Betts (Scarborough, Ont.) .339, 8, 45 Triple-A Tacoma. 7. C farmhand Cody McKay (Vancouver, BC) .261, 1, 15 triple-A Sacramento, Oakland A’s. 8. LF Rob Ducey (Cambridge, Ont.) .236, three, 10, Montreal Expos. 9. CF Ntema (Pappy) Ndungidi (Montreal, Que.) .239, three, 28 double-A Bowie, Baltimore Orioles. RHP Ryan Dempster (Gibsons, BC) 8-8, 4.95, Florida Marlins. RHP Chris Reitsma (Calgary, Alta.) 4-6, 4.27, Cincinnati Reds. RHP Eric Gagne (Mascouche, Que.) 1-4, 5.88, Los Angeles Dodgers. RHP Steve Green (Longueuil, Que.) 6-2, 3.66 triple-A Salt Lake. RHP Mike Meyers (Tillsonburg, Ont.) 4-3, 3.78 triple-A Iowa. RHP Paul Quantrill (Port Hope, Ont.) 7-1, 1.96, Blue Jays. RHP Jeff Zimmerman (Kelowna, BC) 3-4, 3.26, 10 saves, Texas Rangers. LHP Rheal Cormier (Moncton, N.B.) 4-1, 3.04, Philadelphia Phillies. RHP Dave Wainhouse (Scarborough, Ont.) 2-3, 3.76, five saves, triple-A Iowa. INF Danny Klassen (Leamington, Ont.) injured Arizona Diamondback farmhand. OF Jeremy Ware (Guelph, Ont.) .242, two, 10, triple-A Ottawa. OF Aaron Guiel (Langley, BC) .269, 5, 29 triple-A Omaha. OF Ryan Radmanovich (Calgary, Alta.) .267, 11, 39 triple-A Portland). C Alex Andreopoulos (High Park, Ont.) .227, one, four triple-A Buffalo. C Andy Stewart (Oshawa, Ont.) Jays bullpen catcher.